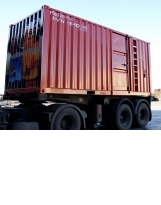 Reliable Power Generators from 1 up to 3000 kVA. MITTRONIK Power Generators deliver electrical power anywhere when a receptacle is missing or enable electricity in case of power failure. Even at blackout the electrical outlets in the house can be used as usual! Shophisticated and high quality power generators from 1 up to 3.000 kVA rated power are available in different variations for wide-ranging applications. 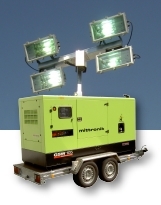 Available is a wide range of power generators beginning with small suitcase inverter generators, professional power generators for mobile use and emergency power generators up to big diesel generator sets which are able to be used synchronized up to 32 generators for long-term power supply (24/7). Except inverter types power generators are using a constant generator speed. There are two different types: fast and slow rotating engines. 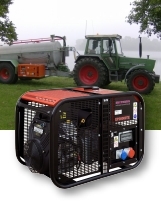 Petrol and diesel power generators with a speed of 3.000 respectively 3.800 rpm are especially suitable for mobile use because of their low weight. The engines have a lifetime of appr. 3.000 to 5.000 operating hours. 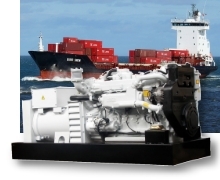 Diesel engines wiht low turning speed of 1.500 respectively 1.800 rpm have a lifetime of appr. 20.000 operating hours. Then they have to get a general overhaul. All serial power generators are manufactured in modern European factories, certified according to ISO 9001. Only high tech components notable manufacturers are used, especially for the engine and the alternator. This enables besides the desired reliability and longevity a greatest possible safety for later service. All power generators are obviously meeting all current German and international regulations and standards. The values for exhaust and noise emissions are batter than the valid standards. Particulate filters are available for diesel engines as an option. 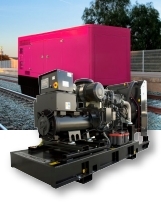 An extensive functional test is done before a power generator set leaves the factory. Optional it is possible for the customer to get the test report. A world wide after sales service is available in case of necessary repairs or service (24 or 12 months warranted). If you have any questions regarding the power generators or if you need an offer do not hesitate to contact us. Simply use the Notepad or send us an email via the Contact Form .